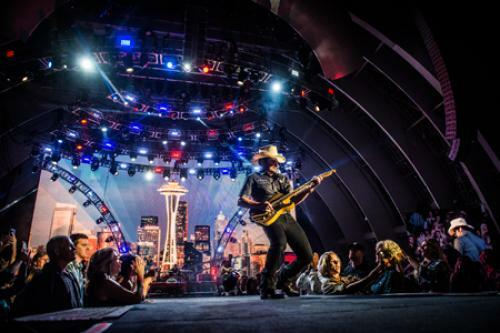 Country music superstar Brad Paisley took his “Crushin’ It World Tour” to the iconic Hollywood Bowl this past Friday night. Special guests for the evening were comedians Sarah Tiana and Jon Reep, along with tour special guests Justin Moore and Mickey Guyton. Paisley has hinted that this formula may pop up in other cities throughout the tour. “Crushin’ It World Tour” dates for this week include Lake Tahoe, NV, Sacramento and Mountain View, CA. Paisley will return to Nashville on Sunday, June 14 to close out the CMA Music Festival.